We all know that we are endangering our planet. We are polluting our environment with all kinds of plastic waste. At Baltex, we are well aware of this issue and we are willing to do our part by working with key suppliers, we are determined to help. In order to reduce the plastic waste, we have to rethink the way we produce and consume plastics. As far as Baltex is concerned, we are looking to create new fabrics, by recycling waste plastic instead of adding pollution to the environment. This will help tackle the plastic waste issue. The picture above shows one of our Spacer Fabrics containing Recycled Polyester: the 8550. 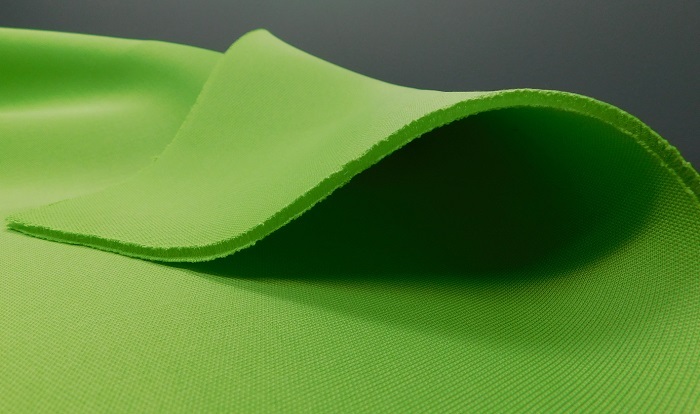 In addition to presenting the same levels of performances as classic polyester, this Spacer Fabric containing Recycled Polyester also has a considerable advantage: it is environmentally friendly. Using recycled polyester could reduce up to 80% of energy use and lower the release of carbon dioxide by around 70% in comparison with a fibre made from raw materials. Furthermore, this innovation helps to reduce oil extraction while minimizing the environmental impacts linked to waste generated by plastic bottles.